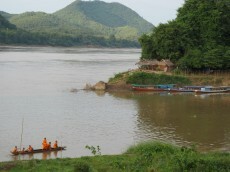 Laos is the only landlocked country in South East Asia; surrounded by China, Vietnam, Burma, Thailand and Cambodia. It has a population of 6.6 million. 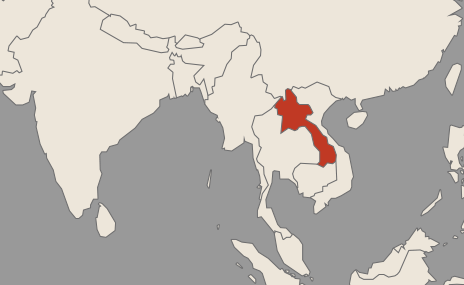 In 1975, the “Pathet Lao” ended six centuries of Monarchical rule with a revolution that established the “Lao People’s Democratic Republic”. Before this the country had suffered from sixty years of civil war. The conflict had spilled over from the Vietnam War and from the American “Secret War in Laos”. As a result of this warfare, isolation and economic deprivation have plagued the country, making it now one of the least developed in the world. In their survey of 2008, the World Bank categorised 33% of the population living on less than $1.25 per day and this rose to 66% of those living on less than $2.00 per day. The annual Gross Domestic Product per capita was $1,417 in 2012 compared to say Thailand where this was $5,480 that same year. 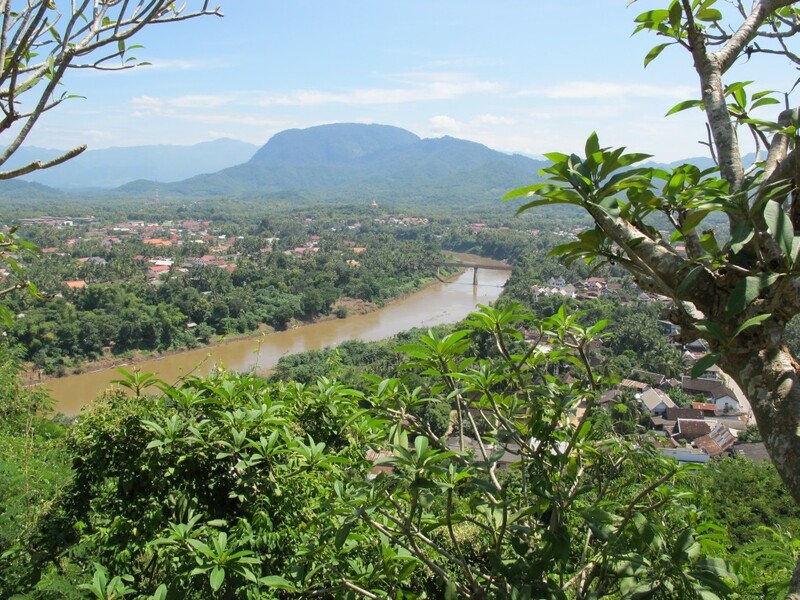 Despite its dramatic mountain ranges and unspoiled tropical forests, little of the land in Laos is arable and only 5% is used for the subsistence farming that employs 80% of the population. Dominant crops include rice, corn, tobacco and coffee. In 1986, the Lao government began to allow privatisation which has yielded slow but steady economic development. In rural areas however electricity and safe drinking water are all but non-existent; signs of an extremely fragile national infrastructure. Luang Prabang is located in the north central region of Laos at the confluence of the Nam Khan River and Mekong River, about 300 kilometres north of the capital Vientiane. 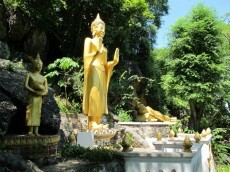 Luang Prabang means “Great Image of the Buddha”. Historically the town was the royal capital. Designated a UNESCO World Heritage Site in 1995, the ancient section of the town is home to more than 30 classical Buddhist temples making it an ancient site for Buddhist pilgrimage. It is also an outstanding example of fusion of traditional Lao and 19th and 20th centuries French colonial architecture and urban structures. 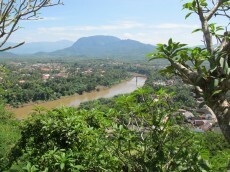 For more information on Luang Prabang as a UNESCO World Heritage site click here. Perhaps the most cohesive element in the Lao people’s resilience and survival is the deeply entrenched Buddhism of the nation. Nowhere is this more true than in Luang Prabang. 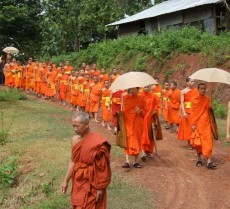 The unique form of Theravada Buddhism practiced there is more than a religion. It is a binding force, interwoven through the lives of the communities - towns and villages - manifesting itself in material and immaterial ways that provide substantial social, cultural, educational and intellectual underpinnings to their inhabitants.